Alfred Neobard Palmer was born, 10th July, 1847, in Thetford, Norfolk, and was educated at the local grammar school, and a private academy. 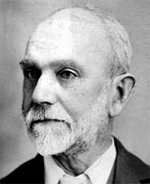 The latter was kept by Morgan Lloyd, a keen natural scientist who enthusiasm aroused Palmer's interest. After a brief spell as a Pupil Teacher at Cambridge, in 1863, Palmer became apprenticed to a druggist at Bury St. Edmunds. He was a research assistant at the Pharmaceutical London, 1873, and post as analytical Manchester, in contributed articles to the Pharmaceutical Journal, from 1875 onwards. In 1878, he married Esther Francis, the daughter of a Caernarfonshire man, city surveyor at Manchester, a leading light in the Welsh community there. His interest in things Welsh began then but there is no evidence of any interest in Welsh history or genealogy, at this time, probably due to his pre-occupation with his career. In 1880, after a period of ill-health, he came to Wrexham in September of that year, and his professional career of analytical chemist for various companies in the area was interspersed with periods of private practice and consultancy. Small legacies in 1892 and 1894 gave him a measure of independence. Within a year of his arrival he began the long series of publications on Wrexham and its area which are a lasting memorial to his scholarly research. The following bibliography is compiled from the biography in Transns. Denbighshire Historical Society, Vol. 15, 1966, pp. 216f f., by the late Professor A. H. Dodd, who was himself introduced to his life-long pursuit of local history by Palmer, and from a bibliographical letter by R. H. G. Smallwood, which appeared in the Wrexham Advertiser for March, 1915. The list does not include Palmer's contributions to the RCHAM volumes on Denbighshire and Flintshire, following his appointment as an Assistant Inspector in 1910. His contributions to professional journals are not listed. His diaries, from 1892 onwards are at the National Library. His reduced circumstances led to the Award of a Civil List pension in 1904 of £50 a year, which was increased in 1908. He died on 6th March, 1915, and a plaque with his portrait in bas-relief was placed in Wrexham Library in 1922. Alfred Neobard Palmer was an outstanding local historian, a meticulous genealogist and a giant of the past in his pioneering research in north-east Wales.